As its title references the road that spans North Minnesota to the Mississippi Delta, and the formative blues, country, and roots sounds connected to its existence. The highway also lays claim to towering musical myths and deaths, many tied to the blues lexicon and narrative. 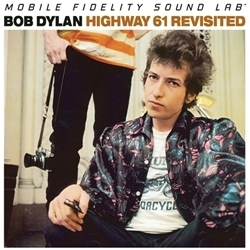 All figure prominently on the revolutionary beacon that is Highway 61 Revisited, the 1965 set that overturned rules, upended preexisting limits, and utterly changed everything in its path. Ranked the fourth-greatest album ever made by Rolling Stone, its reach, power, and content boggle the mind nearly five decades after its release.